February 18, 2014 bcalvanocoachingLeave a Comment on Weekly Angel Oracle Card Reading for February 17 through 23. Weekly Angel Oracle Card Reading for February 17 through 23. This week I am guided to use the Flower Therapy Oracle Cards Deck by Doreen Virtue and Robert Reeves. Here is a link to my most recent show where you can listen to this reading and more. Whether you are working with a crowd of hundreds or speaking to one person, know that you make a difference! Your sharing, message, knowledge and wisdom is unique to you. No one is like you and your energy and gifts are needed in this world. If fear has been getting in your way use the flower, crocus to uplift you and release any fears. I love this flower as we look forward to spring here in the northeast USA it is one of the first flowers to bloom. This is a reminder of the change from darkness to light, winter to spring and is heralded by it’s tiny expression of color and energy. 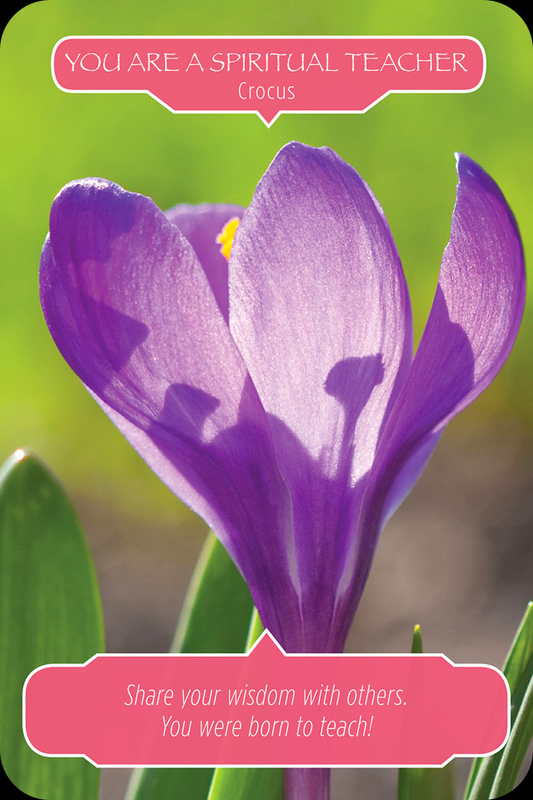 The crocus bloom sparks bright colors and reminds us of the power and cycles of nature. Your unique light that you allow to shine does she same thing. Now is the time to embrace this power we have! From the start of the year we may have bolted forth with so many ideas and projects to accomplish. 2014 is filled with empowering energy! 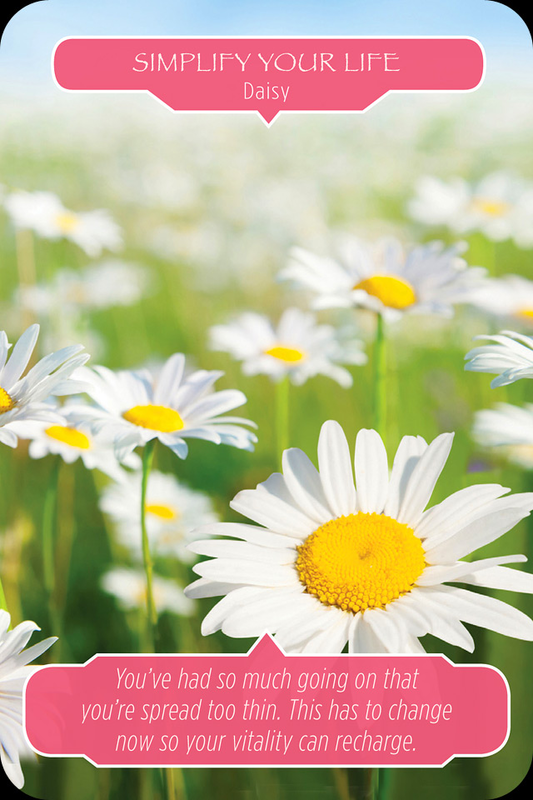 Here we are reminded that by utilizing the flower, daisy, we can breathe and relax. Choose one project at a time and you will be more effective and clearer to what needs to happen. Bring balance in your life by not overworking. Allow time for hobbies, exercise and relaxation. This also will rejuvenate, restore and allow you to open up more creativity. This message is also about seeing what things in your life you may want to release as they truly may no longer serve you. Daisy can help with this! There are new people, Earth Angels that in your life and they are your answered prayers. You can know that they are honest and trustworthy. As you have cleared the way for new people to enter your life…they are arriving. Your intuition or inner lie detectors will also be heightened at this time. Therefore you will easily discern who is right for you both personally and professionally. 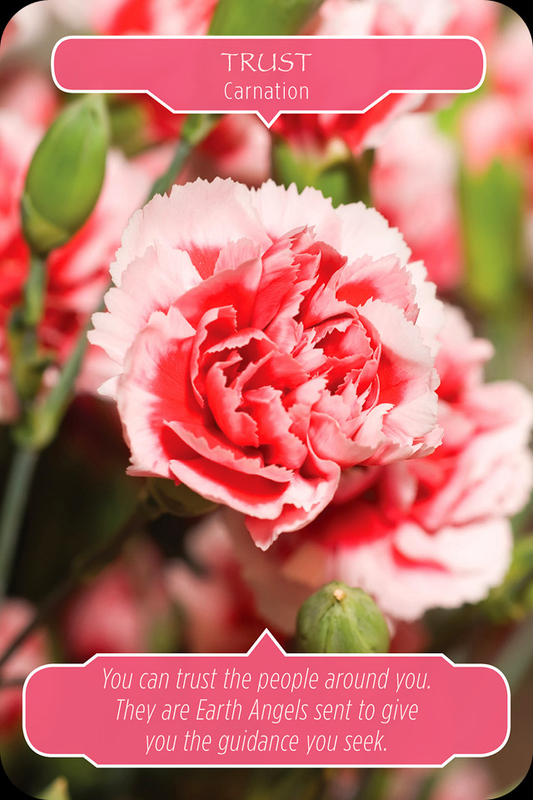 The peace that comes from inhaling the beautiful aroma of carnation brings about a feeling of great joy and contentment. This is a week of acknowledging our gifts and sharing them to the world. It’s about bringing balance and simplicity to our lives and welcoming the beautiful new energy and people in! 10 am to 5pm doing 15 & 30 minute readings. Join me where there will be a variety of vendors, speakers and exhibiters all supporting our mind, body and spirit. Previous Weekly Angel Oracle Card Reading for February 10 through 16. Next Weekly Angel Oracle Card Reading for February 24 through March 2.